I've moved over to www.amillionboxes.com . Please check it out and let me know what you think!! 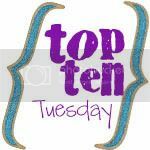 I love the Top Ten Tuesday because I seriously love me some lists. 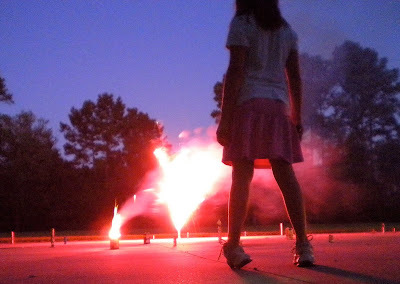 Head on over to the lovely Amanda's blog at www.ohamanda.com and check out some more of the fun lists!! Even better than that? Come up with your own top ten!! Just be sure to link up at Amanda's so everyone can find you! My list is Ten Things to pack when you are staying in a vacation rental. We have done this a lot as an extended family and found a few things that really can make a difference in your stay. Thanks for stopping by! For around the past twenty years I have worked with young people. Before I was married I was a Youth Director for a Presbyterian church, and after I married a fellow Youth Director I happily became a volunteer. The churches we served jokingly referred to getting two for the price of one, but I relished my role as volunteer. I didn't have to worry about scheduling, budgeting or any of the nitty gritty details, I was just called to love the young people. How lucky is that? Unfortunately, the time comes when you have to say goodbye. The time comes to move on. For the last couple of years our last church has been having a difficult time. It is a good church with great people. A long time pastor left and since then, they have been trying to figure out who they are as a church. While we still believe in, and love this church, it became a very difficult place to work. Last August my husband resigned his position. It was time to say goodbye. For the previous twenty years, we have been taking young people to a youth conference in Montreat, NC. My husband and I both attended these conferences as young people and have been a part of them ever since, serving as leadership and support staff for the conferences. This year we attended as "house parents" for my very great friend's youth group from Wasatch Presbyterian Church in Salt Lake City, Utah. For most of the week I felt like I was cheating on my last youth group. I stayed on the edges of the Wasatch group even though they welcomed us in completely. I posted a facebook status that said it felt like I was ripping off an enormous bandaid. Some of my incredibly sweet friends posted lovely things that were very flattering about the impact we have had on young people, but one other gesture struck me to my core. One person "liked" my status update. This person had been a 14 year old in my youth group with the first group I took as an adult. That one little click of her mouse reminded me how blessed I have been. I have gotten to know so many amazing young people and their families. I will be volunteering again with another youth group. It will be different but that's okay. For all of those young people I have been blessed to know, we will ALWAYS love you and we will always be praying for you and hoping for you.